Inhouse Corporation photo. See Disclaimer below. Not too long ago we helped unravel a situation worth mentioning: If you will soon apply to rent (or purchase) a home, be wary of closing zero balance accounts. What does this mean? Evidently some prospective tenants with many credit cards believe a landlord rental application review can be improved by “strengthening” their credit reports through consolidation of debts on several credit cards into just one or two cards then closing the others that have a zero balance. Perhaps they think reducing total available credit lines will not only decrease their ability to use credit but also have the converse effect of somehow amplifying the perceived purchasing power of their income. Since their earnings and overall expenses are likely to be stable during the landlord’s review process, at first glimpse such a thought process may appear appropriate … though in reality an adverse result from account closures is probable and more likely to occur in the near-term. Of course, having too much available credit for a given amount of income can be a negative factor. But voluntarily closing accounts should be carefully planned. Even if the level of debt remains unchanged, account closures elevate the percentage of debt against the total credit limit, which could have an unfavorable outcome on a credit score. To illustrate the principle involved, let’s look at a hypothetical case. For simplicity we’ll assume: (i) Mr. Applicant has annual income sufficient for his housing and overall expenses; (ii) his credit card debts total $16,000; (iii) he has two credit cards, each with a credit limit of $15,000; and (iv) he has two more credit cards, each with a credit limit of $10,000. Accordingly, his overall credit limit is $50,000 ($15,000 x 2 = $30,000; $10,000 x 2 = $20,000; $30,000 + $20,000 = $50,000). Under this scenario he would be using 32% of his credit lines ($16,000 of debt / $50,000 overall credit limit = 32%). If Mr. Applicant consolidates his credit card debt into the two $15,000 limit credit card accounts, then closes the two $10,000 limit accounts, he would reduce his overall $50,000 credit limit down to $30,000. With this credit limit reduction Mr. Applicant’s use of his credit lines suddenly vaults to 53% ($16,000 of debt / $30,000 overall credit limit = 53%). 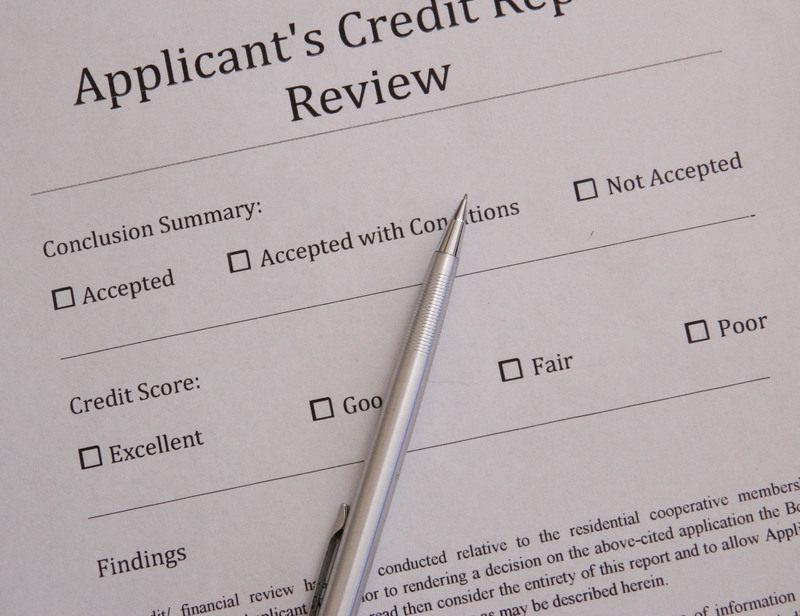 Since a credit score is inclined to prefer a low debt percentage (which is often a benchmark less than one-third of the credit limit), if the percentage jumps above the benchmark it may lower a credit score and capture the attention of the landlord, which could strain a rental application review. So if you’re seeking to proactively improve your credit score for a rental or purchase application, or any other reason, you should first talk with and get the advice of your financial advisor or accountant before taking action. Disclaimer: The purposes of this blog are to promote discussion of the presented topic as well as generate general awareness of services that Inhouse Corporation offers. At no time should the reader rely upon or act upon any advice, suggestion, speculation, comment and/or fact that may be stated or implied in this blog without the consent, guidance, oversight and performance of a professional qualified in the subject matter. If you have a question or want assistance with a matter featured in this blog, please contact us at InhouseCo@aol.com (include the blog article title on the subject line). Links, references and credits in this blog are for the informational convenience of the reader only and are not endorsements by the author or Inhouse Corporation. This entry was posted on January 19, 2014 at 17:35 and is filed under Property Management, Real Estate. You can follow any responses to this entry through the RSS 2.0 feed. You can leave a response, or trackback from your own site.